The Heritage Tower, one of the few lasting symbols of the religious theme park built by Jim and Tammy Faye Bakker in 1980s, still stands unfinished in Fort Mill, SC. If you’ve been in the area long enough, you’ll remember Jim and Tammy Faye Bakker, the televangelists who built a sprawling religious theme park in Fort Mill in the 1980s. A scandal led to the park closing its doors. Now, a new evangelical ministry is hoping to restore parts of the old theme park, but as WFAE’s Nick de la Canal reports, there’s a fear that history may repeat itself. If you drive down the interstate in Fort Mill, South Carolina, you’ll come across the remaining vestiges of the old Heritage USA theme park. In the mid-80s, when the park was in its heyday, nearly 6 million people visited a year. 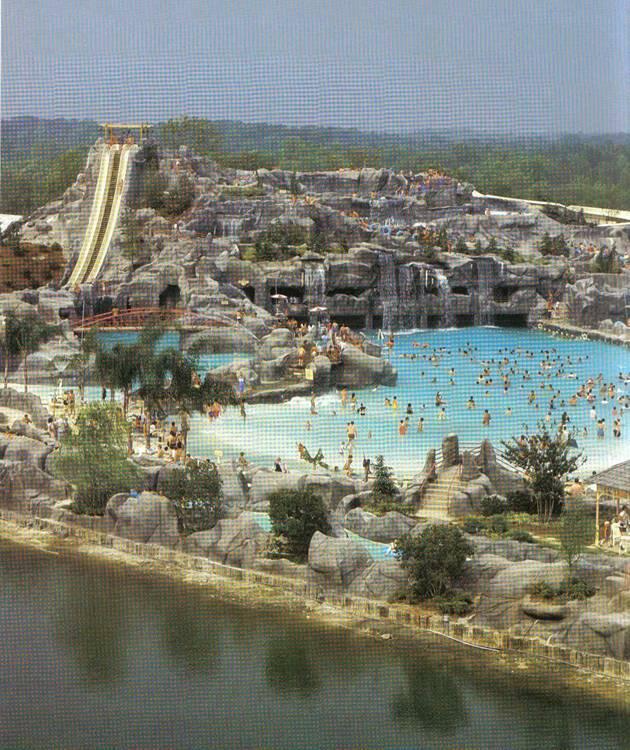 The water park at Heritage USA in the 1980s. Televangelists Jim and Tammy Faye Bakker wanted their theme park to be like a Christian Disneyland. There was a miniature railroad, costumed characters, a water park, a big castle. There was even a Main Street USA area conspicuously similar to the one in Disney’s theme parks. Plus, the park served as an oversized stage for the Bakkers. Ben Martin, a local resident and lifelong fan of Heritage USA, fondly remembers attending the park growing up. He now collects Heritage USA memorabilia. But, that dream ended in 1987. The Bakkers had been selling lifetime memberships to the park. For $1,000 donation, you’d get a three-night stay in a luxury hotel at Heritage for the rest of your life. Tens of thousands of people bought in, but the Bakkers only started building one 500-room tower. And construction was slow. Turns out, Jim Bakker was using some the money to pay off a church secretary who says he raped her. He also gave himself more than $3 million in bonuses. The Charlotte Observer exposed the Bakker’s conduct, and more media and legal scrutiny followed. Park attendance dropped, Bakker went to prison for fraud, and Heritage USA filed for bankruptcy. 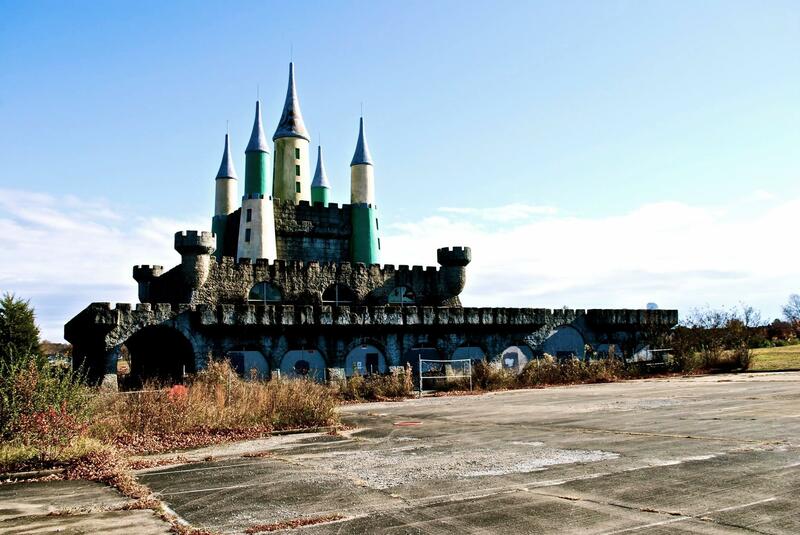 The abandoned 'Kings Castle' sat in ruins since in the park closed in 1990. The castle was demolished in the summer of 2013. Today much of the park has been bulldozed and developed into townhouses and small neighborhoods. But not everything’s gone. At the top of a hill overlooking many of the new townhouses sits a few dilapidated buildings, and some miniature railroad tracks leading to nowhere. And rising up behind those buildings is the infamous Heritage Tower, the 21-story brick and concrete hotel meant to house the park’s lifetime members. It was abandoned before it was finished in the late ‘80s. Tall weeds surround the base of the tower. Large portions of brick have fallen off the facade. Birds fly in and out of the open windows. Standing from a distance, a small tree growing on the roof is visible. Kinsinger says urban explorers and daring youth will break in on a regular basis. He wants the tower to come down so badly, he created TearTheTowerDown.com, not to be confused with another, more impatient site, BlowUpTheTowerNow.com. 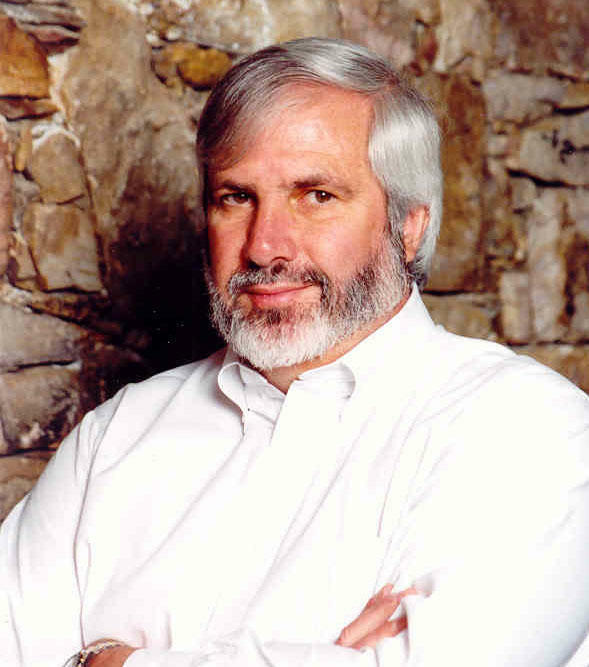 Rick Joyner, also regarded by his followers as a prophet, purchased the property in 2004. MorningStar Ministries has several churches and schools in North Carolina and New Jersey. Like the Bakkers, Joyner broadcasts his services from the Heritage USA site. The ministry has plans to finally complete the tower and turn it into a Christian retirement home. The sales pitch sounds familiar: for just $1,000, you can reserve a room in the hotel to live in for the rest of your life. The plan was announced in 2008, and Joyner says all of the units got reserved, but there’s been no construction since. Why? The ministry entered into a development agreement with York County in 2008. Joyner says he waited a year for the county to formally approve the agreement. 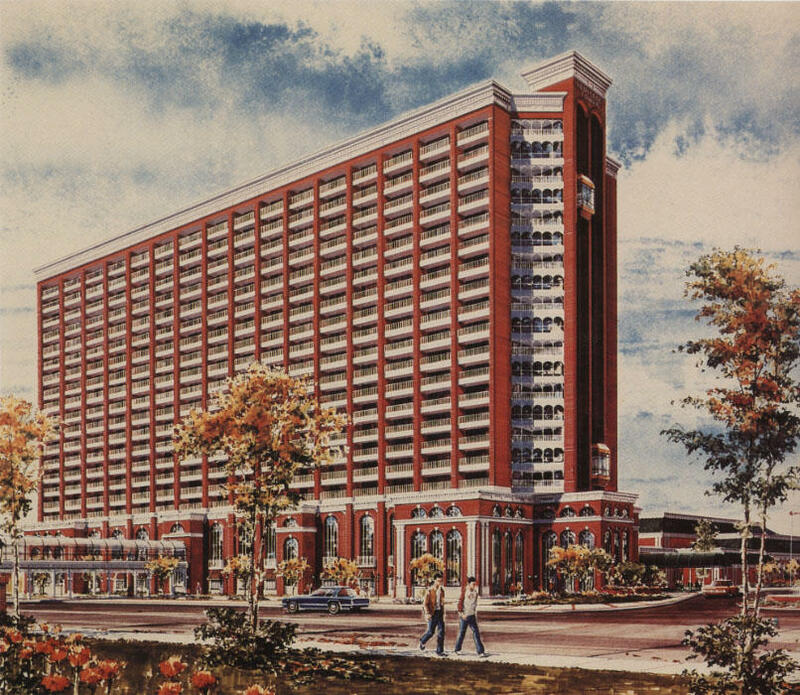 Artist rendering from the 1980s of the completed Heritage Tower. The tower was never finished and now sits in disrepair. No deal has been reached and now York County says the tower will likely need to come down. But that’s not all. Former county manager Jim Baker, no relation to Jim Bakker the televangelist, voiced frustration in a 2012 County Council meeting. Joyner insists he did have financial backers. He just has trouble naming them. “I can’t remember their name right now. I’m sorry that was so many years ago,” he says when asked for specifics. All this is the subject of a pending lawsuit MorningStar filed against York County. The county’s attorney, Michael Kendree, didn’t return any calls or emails, and told members of the county council not to talk to media. Joyner did agree to give WFAE the ministry's audited financial records, but the church never sent anything, despite repeated follow-ups. Joyner remains close to Jim Bakker the televangelist, who has a new televangelism ministry near Branson, Missouri. In fact, Bakker brought his show to the old Heritage USA studio in 2013. Joyner appeared onstage with him. But Joyner insists any comparison between the two is unfair. No matter how long the legal battle takes, Joyner says he’s committed to finishing the tower. After all, it’s God’s will; Jim Bakker says so.